You've already bought a bottle of Champagne for Valentine's Day, so why not turn it into ice to dress up your other must-drink beverage? We're talking about bourbon, of course, and we've found the perfect drink that combines both your favorite alcohols. 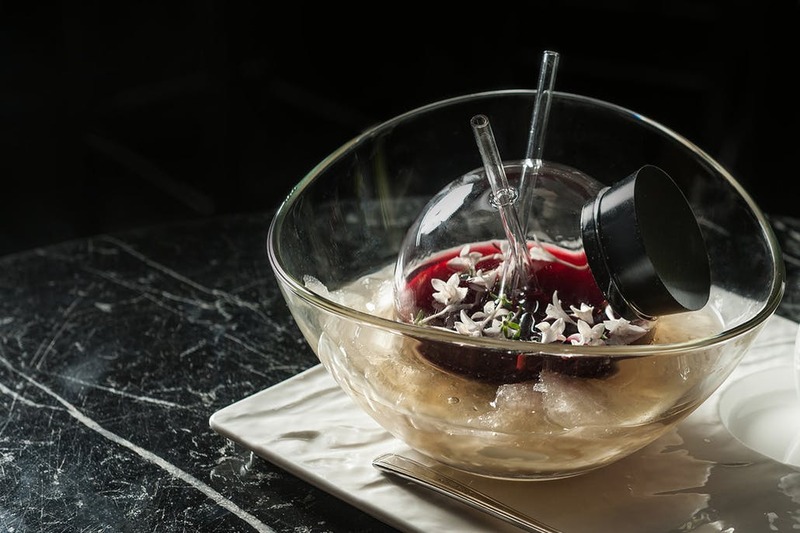 This romantic sipper from Bob Peters, head mixologist of The Punch Room in Charlotte, North Carolina, is perfect for sharing with that special someone—or enjoying alone if you're looking for something strong. This entry was posted in Press and tagged article, bars, bartender, best, Best cocktail bar, Best mixologist, Bob Peters, bob the bartender, bobthebartender, Charlotte, cocktail, Cocktails, Jake Cohen, james beard, mixologist, mixology, outstanding bar program, punch room, punch room ritz, the ritz, the ritz charlotte, The Ritz-Carlton, The Tasting Table.